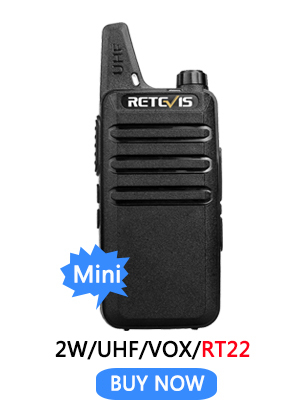 RT22 radio is small and lightweight, when you are working, it can bring more convenience for you. 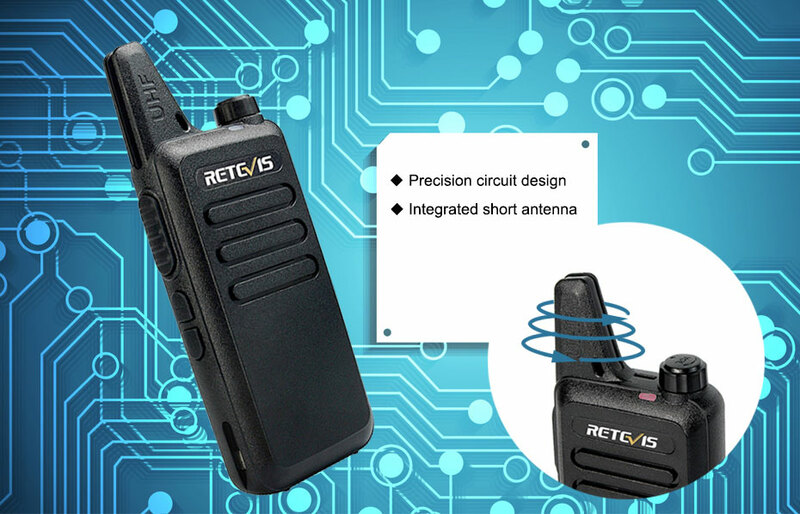 Integrated antenna is not easy to broken,also can provide long range transmission. 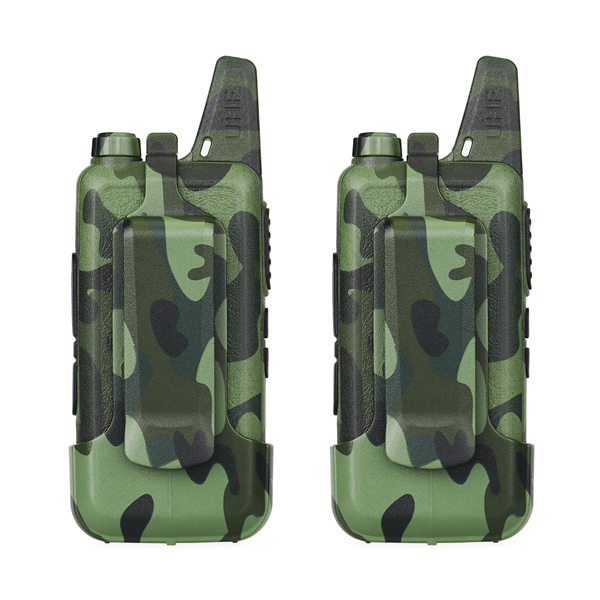 Durable belt clips, easy to disassemble and installation.You can easily attach it to your belt, pocket or backpack. 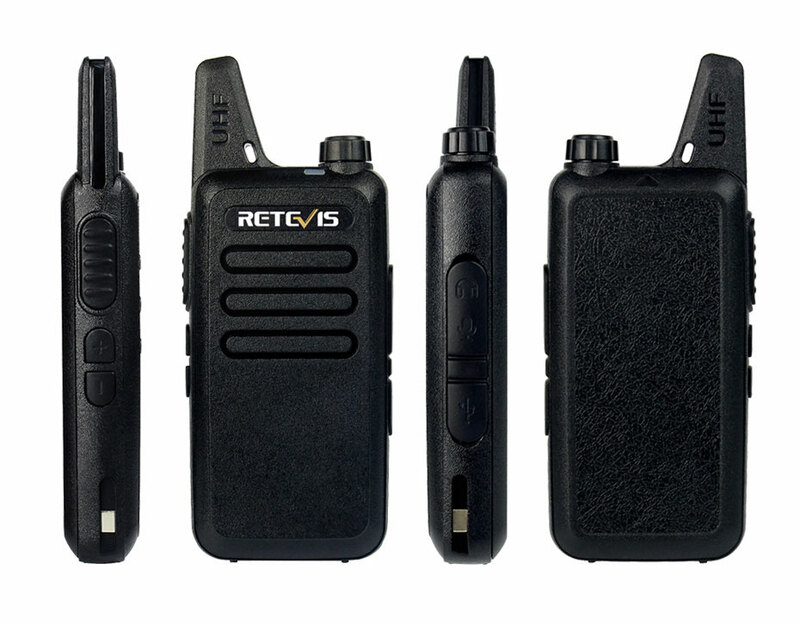 Retevis RT22 has VOX function which makes you have hands free operation.Particularly apply to some hands-free occasions,such as cycling,holding objects, or working. Here is the steps to turn on/turn off this function. ②: Turn off the radio. 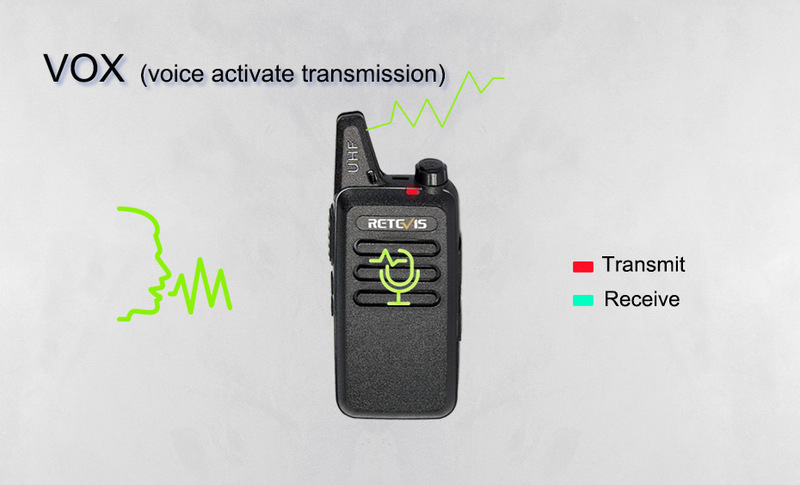 ③: Press the "+" button,while turn on the radio,after hearing the voice prompt "vox on"/"vox off", release the + button. 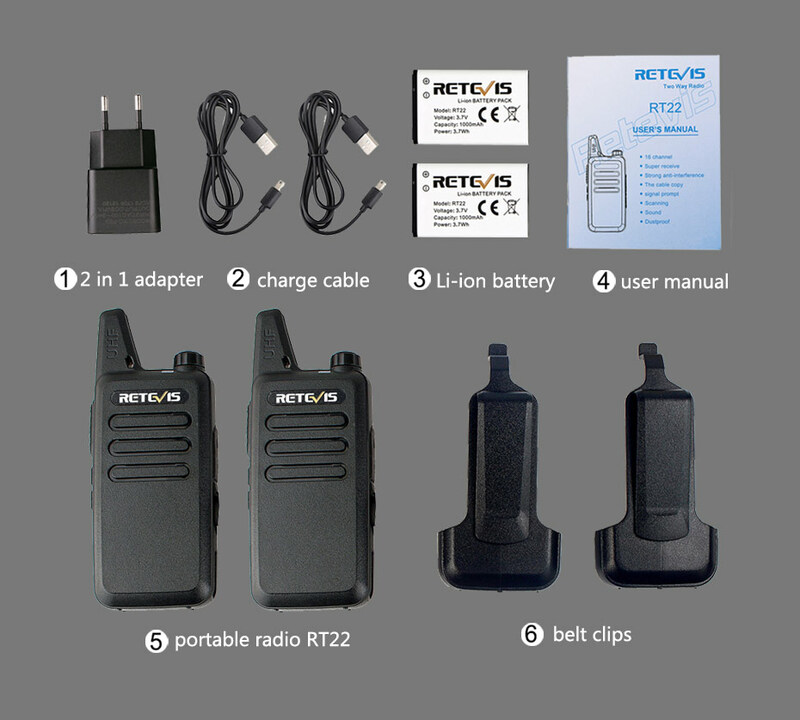 The Retevis RT22 radio also has many other useful features. 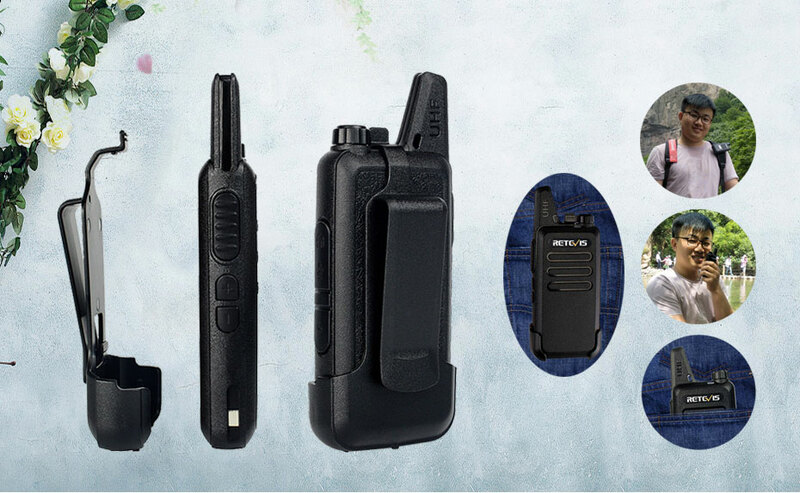 Channel lock allows your walkie-talkie to be fixed on one channel and will not be accidentally changed. Voice prompt make it easy for you to know which channel you are on. 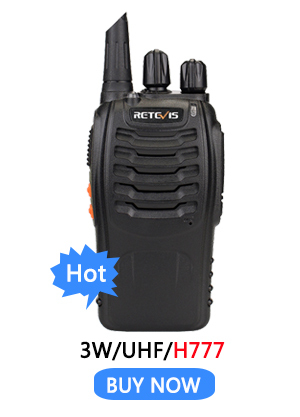 CTCSS/DCS private code bring you more choices and blocked unnecessary calls. Red and green light remind you are charging and have finished charging. 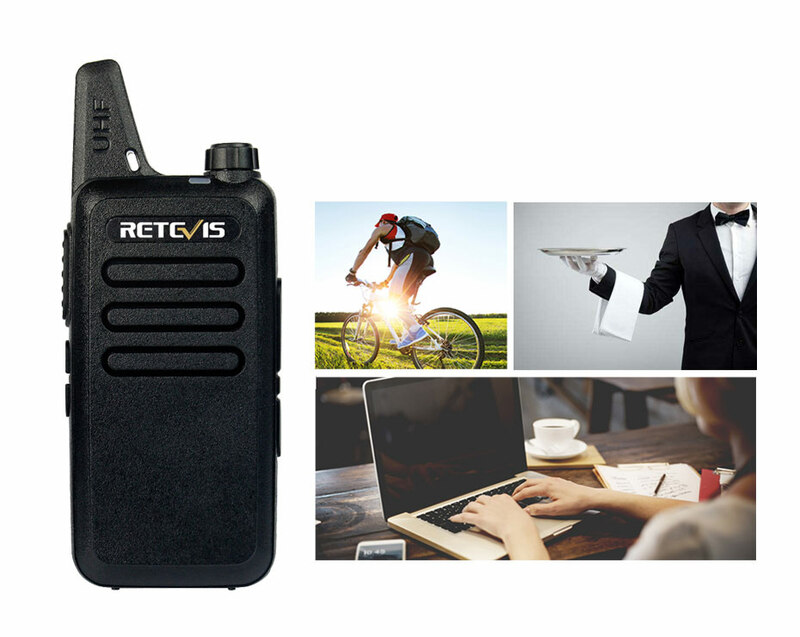 Easy to carry when you need work outside,and can easy to found where can charge. 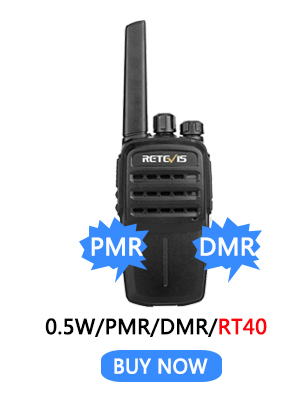 Just choose same channel and then press the PTT to talk with your partner. Crystal voice and can keep your communication clearly and smoothly. 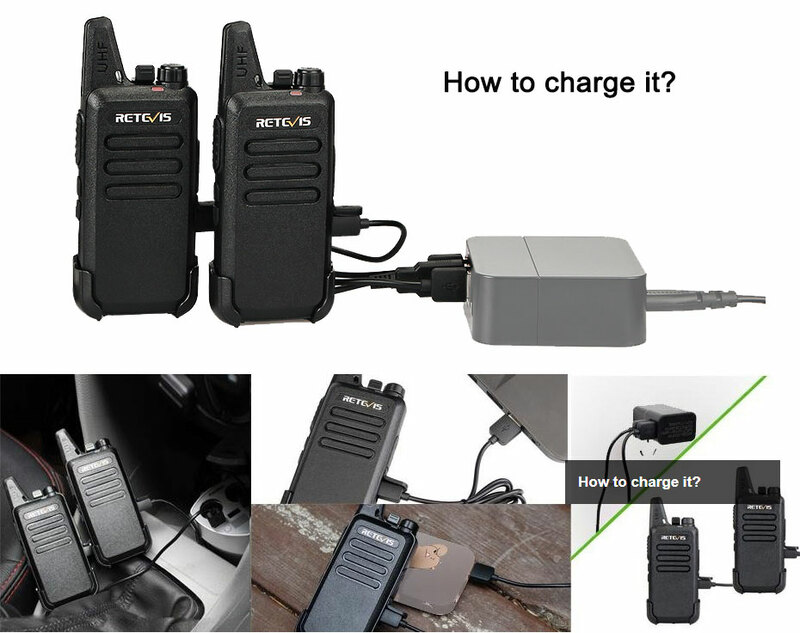 It takes 3-4 hours to fully charge and it support 8-12 hours use. 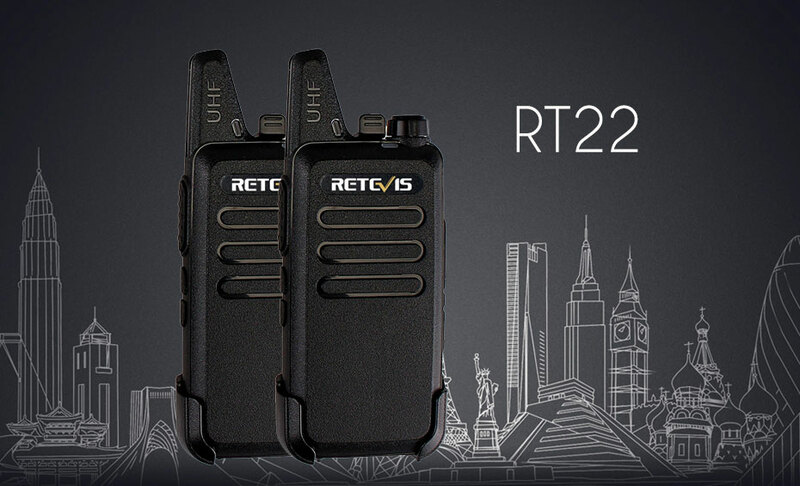 Retevis RT22 walkie talkie is suitable for a variety of occasions and a variety of people,can be widly used in big mall,restaurant,hotel,coffee shop,KTV,Bar,warehouse,property management,travel,hunting and so on. 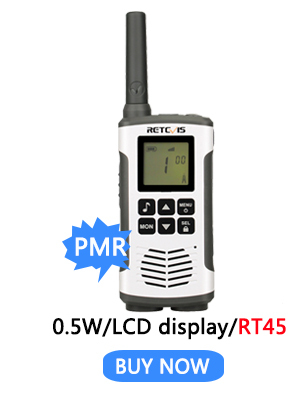 When you have a programming cable and the rt22 software,you can program the radio by PC. 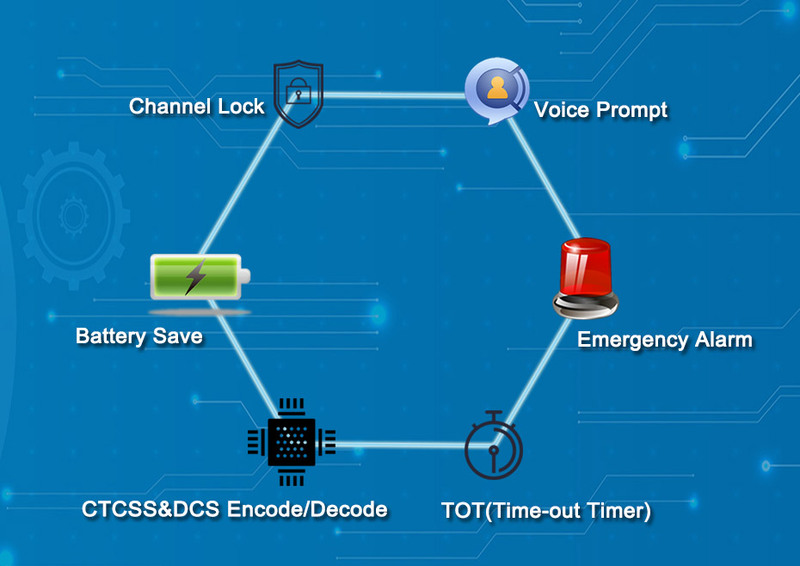 You can also program the radio by CHIRP software. 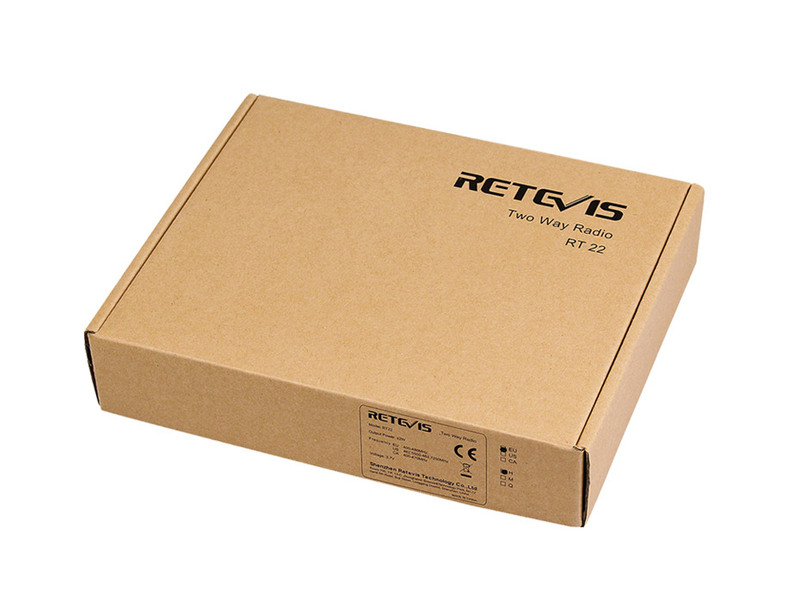 Note:we will send you the right adapter according to your country. 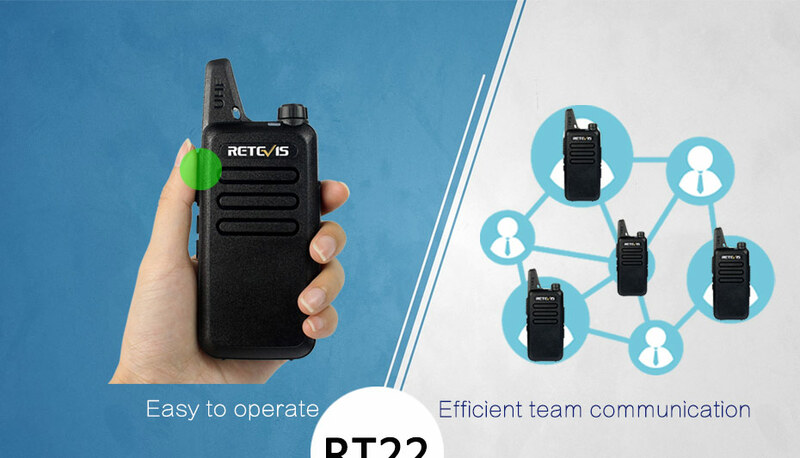 RT22 has passed CE, FCC, IC certification. Notice: Any questions, please contact us FIRST. we will try our best to solve your problem. 1: Does the radio set include headphones? ------No.If you want to buy headset,pls click this link:RT22 Headset. 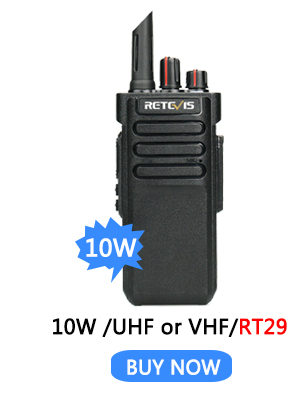 2:Does the radio set include the programming cable? 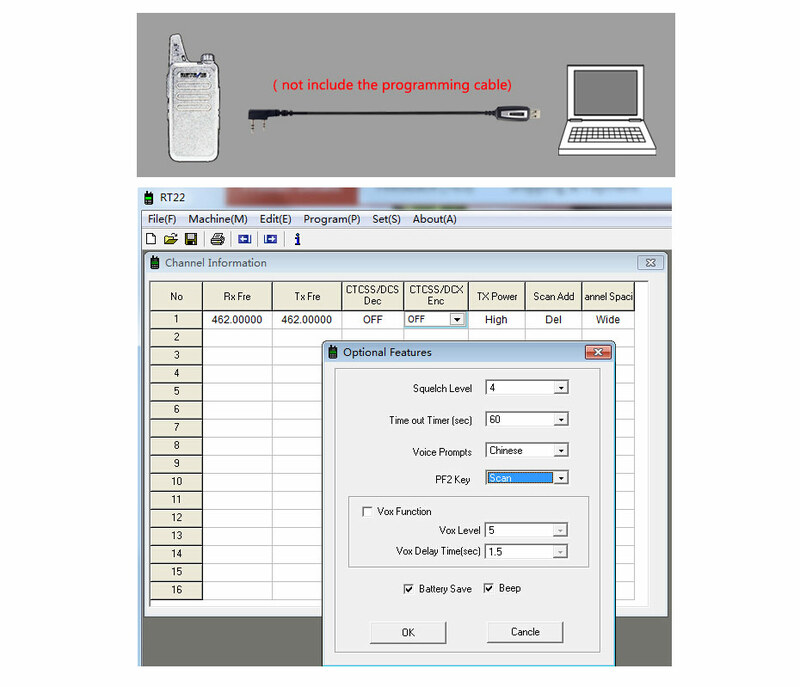 ----No.If you need it ,pls click this link: RT22 Programming Cable .And if your computer system is windows 10,pls click this link: RT22 Programming Cable for Windows 10 . 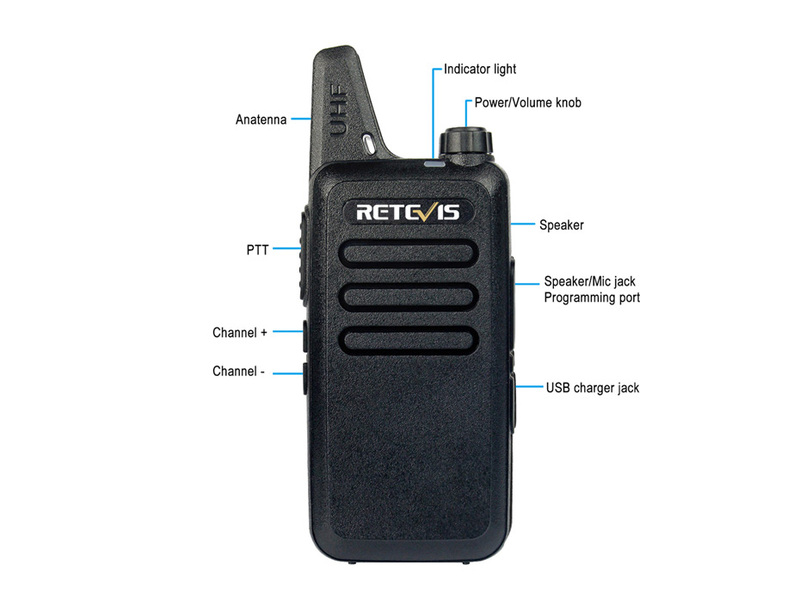 3:Can i use the headset to achieve the VOX(voice activate transmission)? 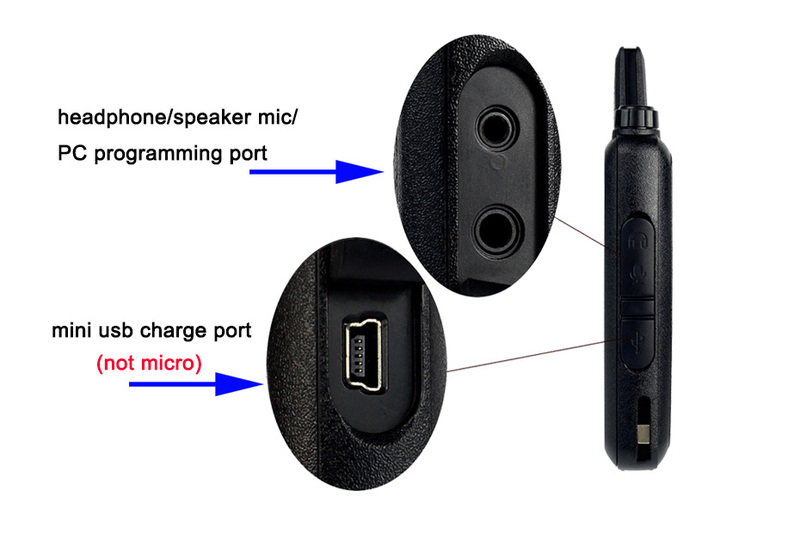 -----Yes,you can speak directly to the headset microphone after you have opend the radio VOX. 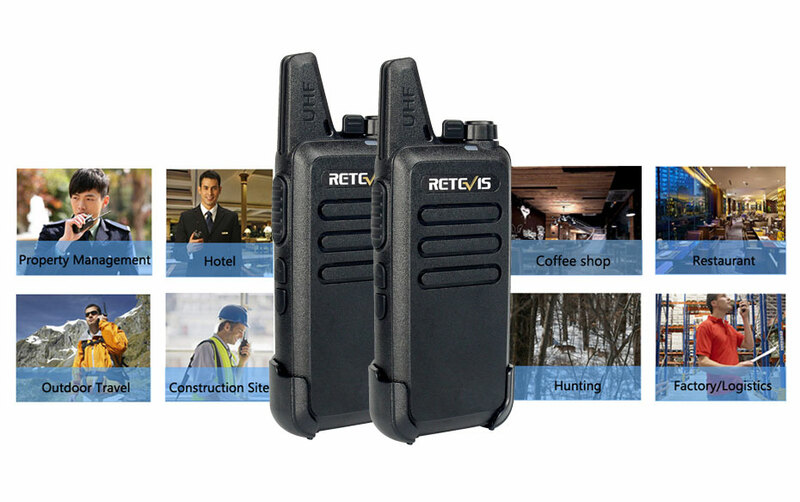 4:How about the talk range? 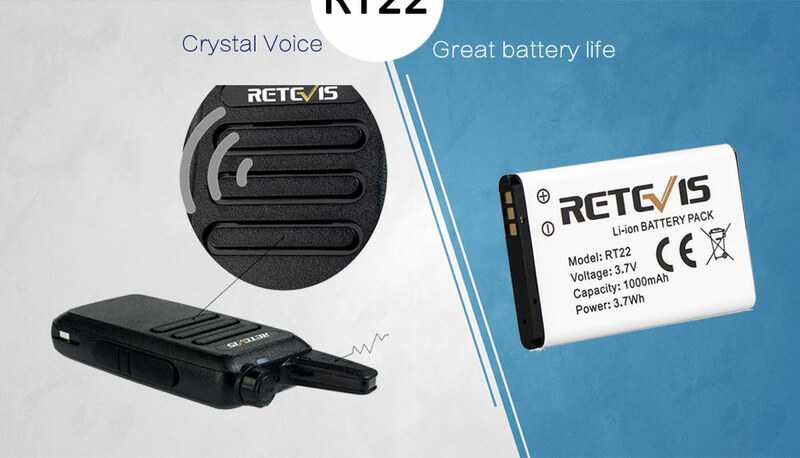 ------Talk Range depend on many factors,like the RF power,obstacles,weather,battery power and so on.Usually RT22 can up to 0-1.5 km in the city area,0-2 Km in the village area. 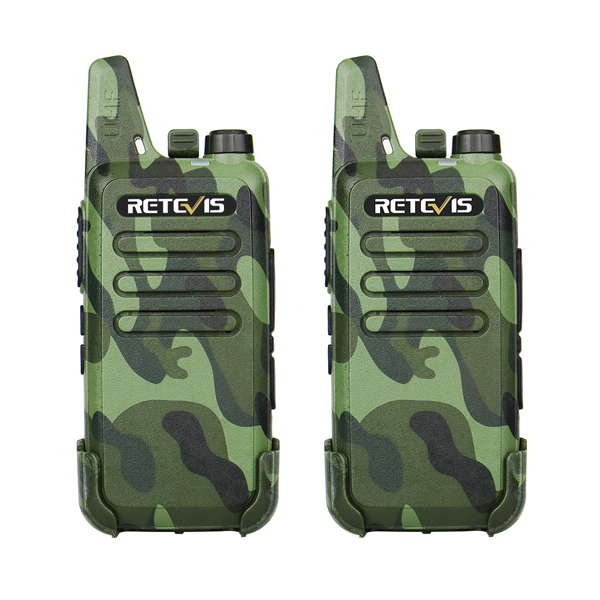 5:I want to program the RT22 walkie-talkie,how can i get the RT22 software? 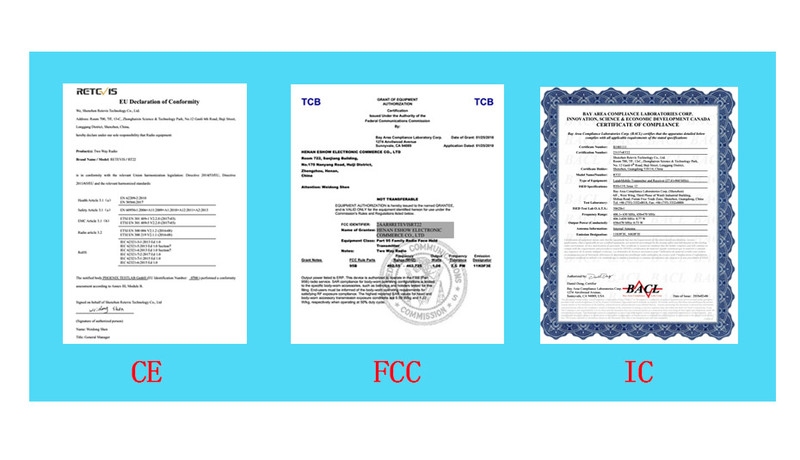 -----You can contact our customer service,she will send you the software. 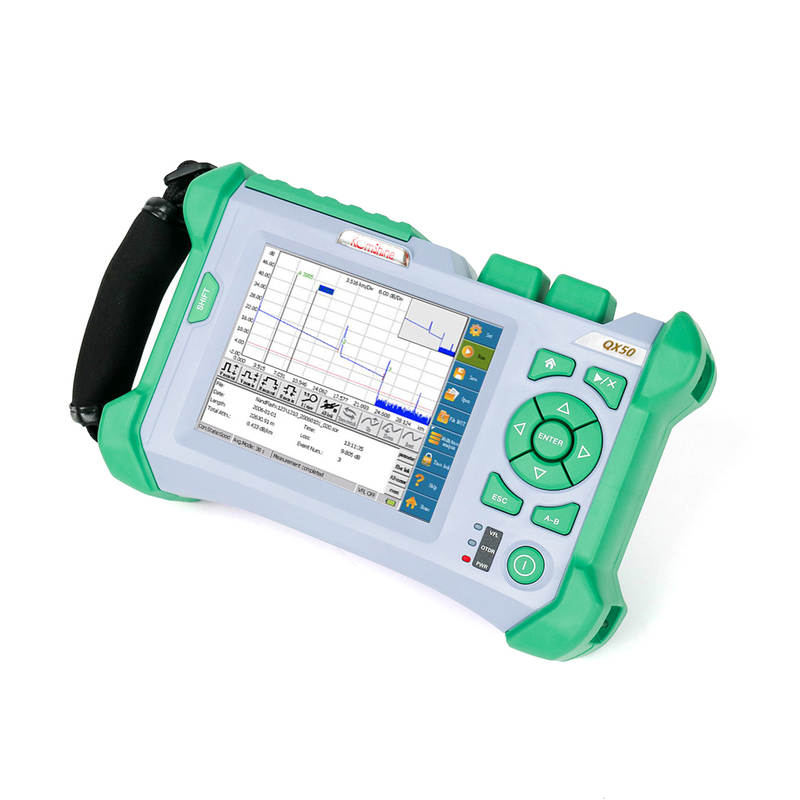 6:What frequency range can i program? 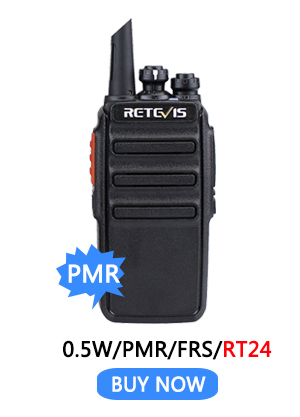 -----You can write in a frequency range of 400-480MHz.It will meet many licence-free frequency neeed,like the PMR446 MHz (europe countries),PMR446MHz/LPD433MHz(for Russia),FRS 462-467MHz(for United States).